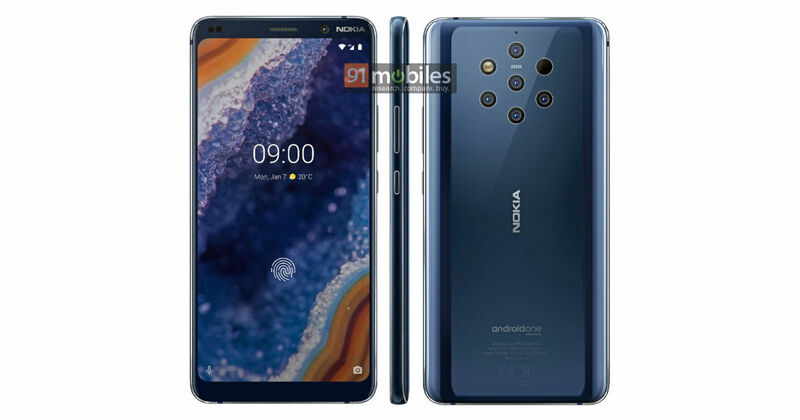 More than a week passed since the last news regarding the upcoming Nokia 9 PureView, but the silence was broken today with 91mobiles.com posting new press renders of HMD’s upcoming Nokia cameraphones. The new render doesn’t show anything new, it just offers a better look at the device, with a closeup photo focused on the upper side of the device. 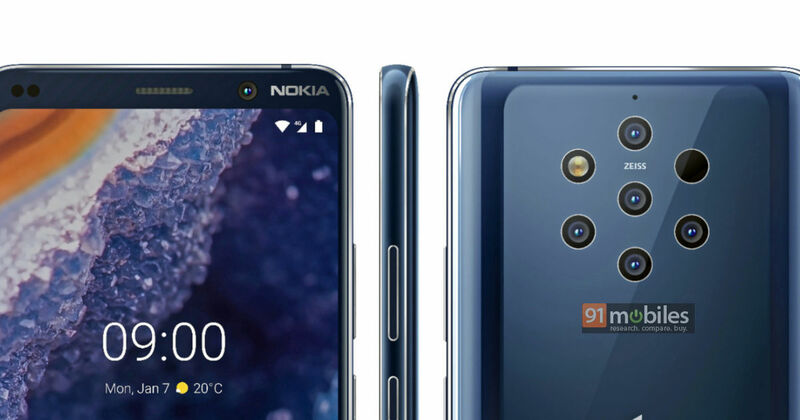 Based on the photos, Nokia 9 PureView will most likely continue the glass-sandwich design HMD introduced with 8 Sirocco, with a metal frame. The device looks good to me and I don’t mind a bit bigger bezels on the front, but it’s clear that in terms of aesthetics, the 9 might fall in the shadow of the rumored Nokia 6.2 with a punch-hole display. Nokia 9 PureView is rumored to be a camera-centric device, with its penta-lens setup on the back. The device should finally be announced on 24th February in Barcelona on HMD’s #GetSmart event. There we also expect other devices like the already mentioned Nokia 6.2 and maybe a new member of the “originals” series, a new Nokia N9.